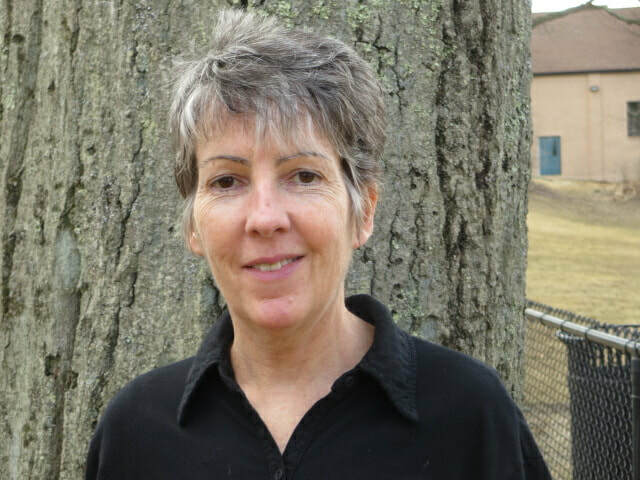 Eleza is headed into her 26th year at BSSCC after graduating from Lesley College with a Bachelor's Degree in Early Childhood Education in 1993. She went on to further her studies at Lesley University with a Master's Degree in the Creative Arts and Learning Program. Eleza has taught in all 3 classrooms since she started and currently works in the Infant/Young Toddler room. She aims to foster an environment where the young children in her care are free to explore a variety of sensory and creative art activities in a play based learning classroom. Born and raised in Brookline, Eleza is dedicated to this co-op and unique community. In her spare time she enjoys spending time with her family, friends and many pets. Sarah is excited to join the team at BSSCC. She was instantly drawn to BSSCC’s small, intimate program from the play-based center-wide philosophy to the tight-knit community of teachers and parents. She holds a B.A. from Lesley University in child, youth and family studies with a concentration in teaching infants and toddlers. Sarah is inspired by the Reggio Emilia philosophy as she traveled to Italy in 2016 with a group from Lesley University to study the student-driven, play based approach to early childhood education and looks forward to growing as a Reggio-inspired teacher at BSSCC. In her spare time she enjoys coaching volleyball for the SMASH volleyball club in Newton, as well as playing in various adult leagues. Rebecca started her early education career at BSSCC years ago as the center-wide floating teacher and is excited to be back working as a classroom teacher for a third year. She studied Education, Psychology and Sociology as an undergraduate. Through her studies she developed a passion for early childhood. Rebecca loves working to instill a sense of curiosity, creativity and independence in children. Drawing inspiration from the Reggio Emilia approach, she believes this is done best through play, open-ended materials, hands on experiences, strong bonds and by creating a cozy environment that feels like an extension of the home. Rebecca enjoys spending time with her family, friends and exploring the area with her dog. Vanessa is delighted to be in her 2nd year at BSSCC and adores the special community that exists here. She is entering her 7th year working as an early childhood teacher and prior to BSSCC, had experience as a lead teacher and teacher coach/ supervisor in a variety of private centers, Head Start, and non-profit programs. She has her bachelor's in Early Education and Care from Worcester State University and is currently getting her master's in Early Childhood Education from UMass Boston. Passionate about the Reggio Emilia approach, Vanessa aims to foster a holistic and child-led environment that encourages creativity and building strong social-emotional skills. In her free time, she enjoys creating art, making music, and spending time with her friends! Liz came to BSSCC in 1989 after graduating with a BS in Early Education from Wheelock and working at several other centers in the Boston area. Liz values the natural curiosity and wonder that children exhibit towards the world and believes that these are best served through open ended and play based curriculum. The preschool team works hard to tap into the interests of the class and provide meaningful learning experiences for the children to build upon. A main emphasis of the preschool is on fostering caring and trusting relationships, helping the children develop their problem solving skills and creating a creative and exciting learning environment where children feel comfortable exploring their potential. A story teller, Liz and the preschool encourage the children to find their own voice through listening to stories, reading books, and dictating and acting out the stories, as well as informally sharing their own stories about life events. Besides her passion for teaching young children, Liz enjoys long walks with the family dog, yoga, meditation, rooting for the Red Sox and spending time with family. Working at BSSCC and being part of the warm, supportive, extraordinary community of children, colleagues and family continues to provide Liz with opportunities for growth and joy.